Amidst the controversy surrounding this year’s Academy Awards nominations, it was a different awards show that took everyone’s attention. 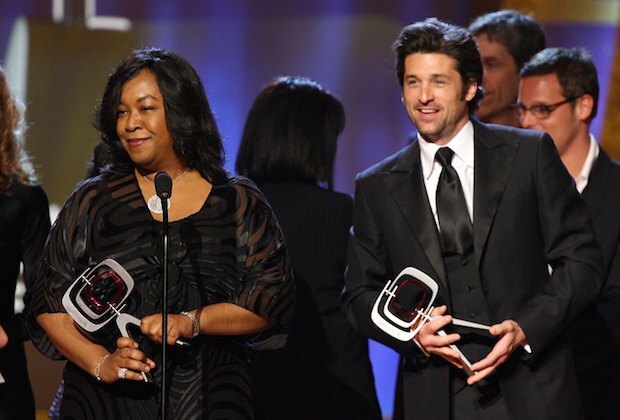 At this year’s Producer’s Guild Awards,Scandal and Grey’s Anatomy_ creator Shonda Rhimes was given the honor of the Norman Lear Award for Achievement in Television. However, that wasn't what has people talking. Rhymes gave an impressive acceptance speech that addressed many of the concerns critics have for what they observe as a lack of diversity in this year’s Oscar nominations. Fans felt it was quite refreshing, then, to have Rhimes be so honest and real about the struggles faced by not just a woman, but a woman of color in Hollywood. The industry has a reputation for being insular, and therefore, many find it to be difficult to claim well-deserved recognition. Creator Of Hits Like "Scandal," Rhimes Is Well Respected.